It's time for a health check up on your website. 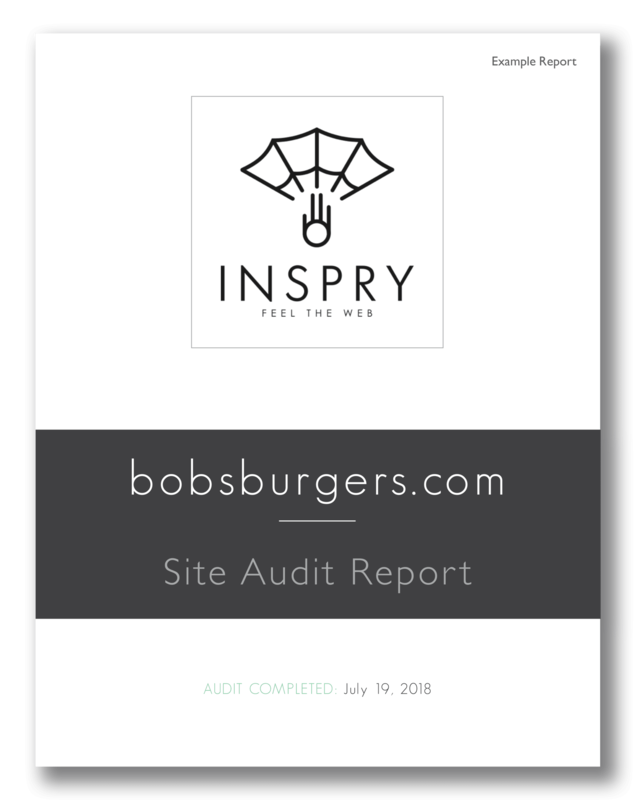 Get an Inspry site audit today. We offer custom website health audits to help diagnose what’s keeping your site slow and inefficient. From site organization, to SEO, to speed optimization and more, we provide you a comprehensive overview of your site’s issues and areas for improvement. Once you receive your custom audit report, we go one step further and provide you our recommendations to fix any found issues. Contact us for pricing on website health audits and fixes. Is your website performing as fast as it could? Is your site optimized to please both users and search engines? From site organization, to SEO, to speed optimization and more, we provide you a comprehensive overview of your site’s opportunities to maximize performance. 60% of WordPress sites are out of date. Don’t leave your site vulnerable to security and functional issues. Get a site audit today. weekdays to answer your questions.